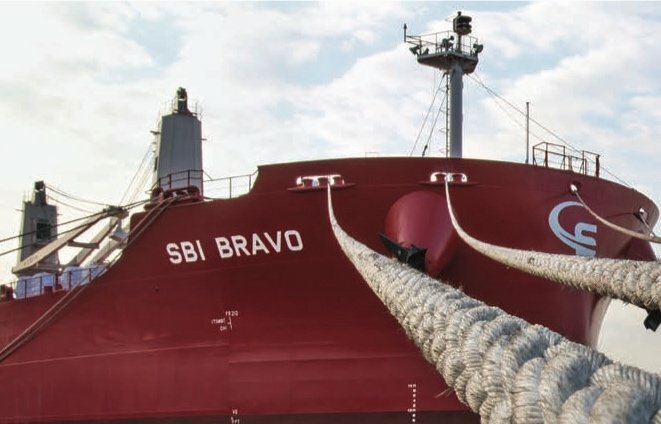 Scorpio Bulkers is back in buying mode. After more than two years of scaling back its fleet and waiting on the sidelines while others feasted on cheap bulker bargains, the Emanuele Lauro-led company has pounced for six modern Golden Ocean ultramaxes. Sources close to Scorpio told Splash today that the acquisition marked the start of a buying binge from the Monaco-based owner. John Fredriksen’s Oslo-based Golden Ocean has sold six Chengxi-built bulkers, all built between 2015 and 2017, for $142.5m to the Lauro company. Scorpio Bulkers had been linked by brokers to buying one of the newbuilds that Hong Kong owner KC Maritime had rejected last year at Guangzhou Huangpu, but Splash understands a Chinese owner beat Scorpio to this ship at which point it turned its attention to the Golden Ocean ultramaxes, which the Norwegian company were keen to offload to focus on other bulker segments. Separately, Golden Ocean has agreed to take early delivery of the Golden Nimbus , a capesize vessel under construction at New Times Shipbuilding in China. Golden Ocean will take the ship this week and it will go on time charter at a gross rate of $16,750 per day for a duration of between 14 and 18 months. Birgitte Ringstad Vartdal, CEO of Golden Ocean Management, commented: “The sale of these vessels strengthens our commercial focus on capesize and panamax vessels, where we have critical mass and that we believe will provide the greatest leverage to a recovery in the dry bulk shipping market. It also increases our financial flexibility considerably as the majority of the gross proceeds will directly increase our cash balance. During the second quarter of this year, Scorpio Bulkers completed its huge 46-ship newbuilding program. Having significantly pruned back its fleet over the past 24 months sources now tell Splash the Monaco company is very much back in a buying mood.